Home run derby: 7:00 p.m.
Main Event Softball Game: 8:00 p.m.
Tickets can be purchased for $20 each at www.landoncollinsgame.com. Justin Tuck is a former NFL defensive end who played for the New York Giants from 2005–2013 and the Oakland Raiders from 2014–2015. Tuck is a two-time Super Bowl champion for Super Bowls XLII and XLVI plus he is a two-time Pro Bowl selection for 2008, 2010. Tuck also is a First-team All-Pro for 2008 as well as a Second-team All-Pro for 2010. Tuck was inducted into the New York Giants Ring of Honor in 2010. Sports Speakers 360 is a booking agent for pro athletes. 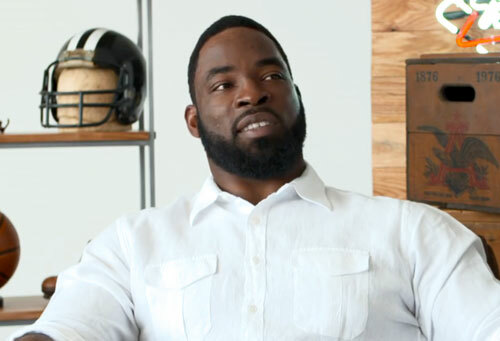 If you would like to book Justin Tuck for a speaking engagement, appearance or endorsement, contact a Justin Tuck booking agent for fees at 1.855.303.5450.